The Smart Clamp Upgrade is a money and digits saver, you can upgrade your existing Smart Clamp(s) to create a Smart Clamping System. 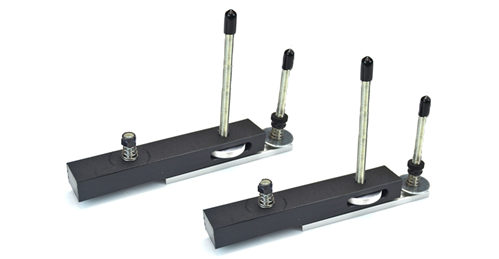 Enables the clamping and cutting of the narrowest strips safely and accurately. Look at the photo gallery and the videos. Your 2 Deep Smart Clamps + 2 Smart Deep Clamp Upgrades = One complete Smart Deep Clamping System ! Capable to hold the narrowest pieces of wood for cutting. Designed to work with the Smart Clamps and save you money. EZSMART Bench Clamp 6" 4 Pack EZSMART Bench Clamp 6" 2 Pack EZSMART Clamp Upgrade (Set Of 2) EZSMART Bench Clamp 6"